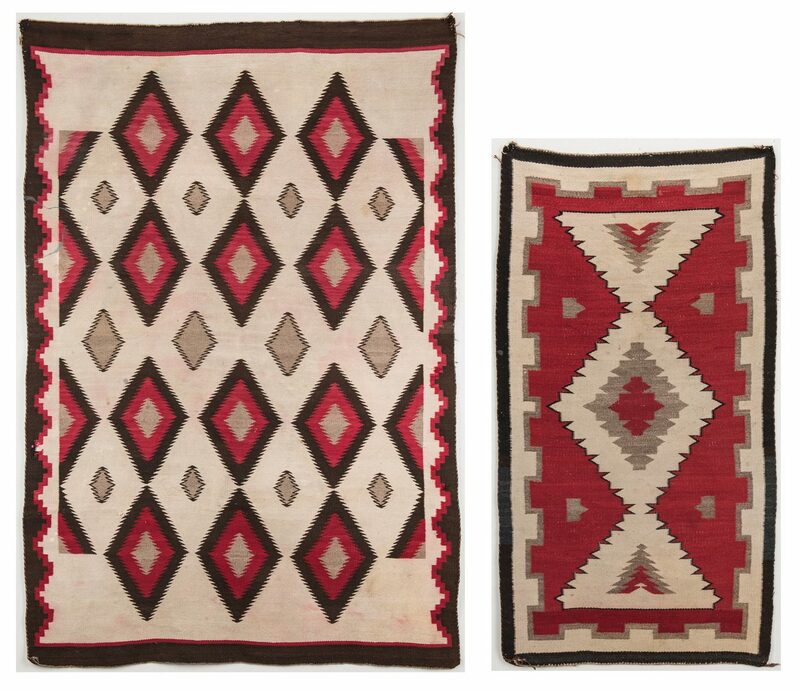 Two (2) Navajo eye dazzler area wool rug weavings. 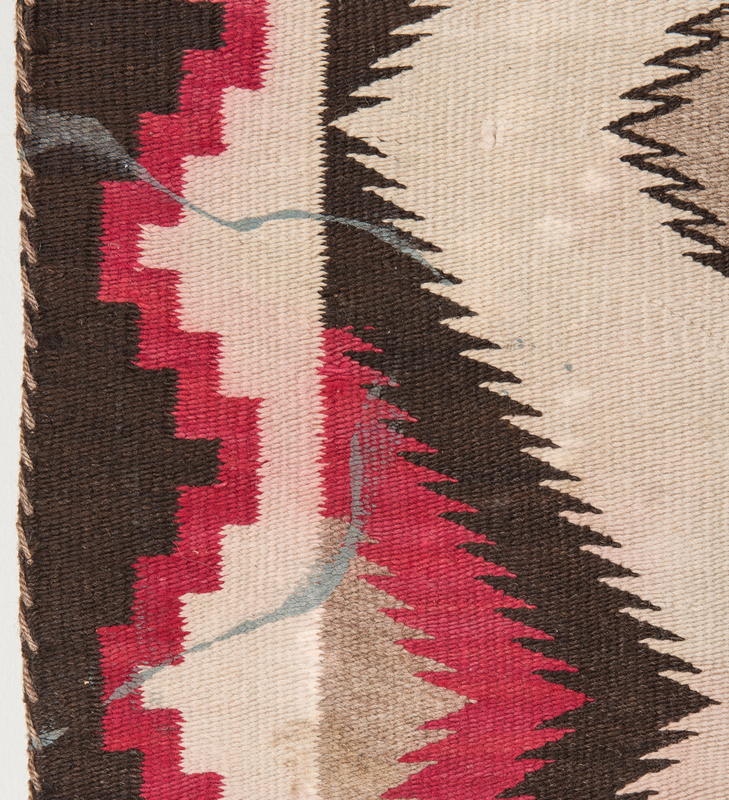 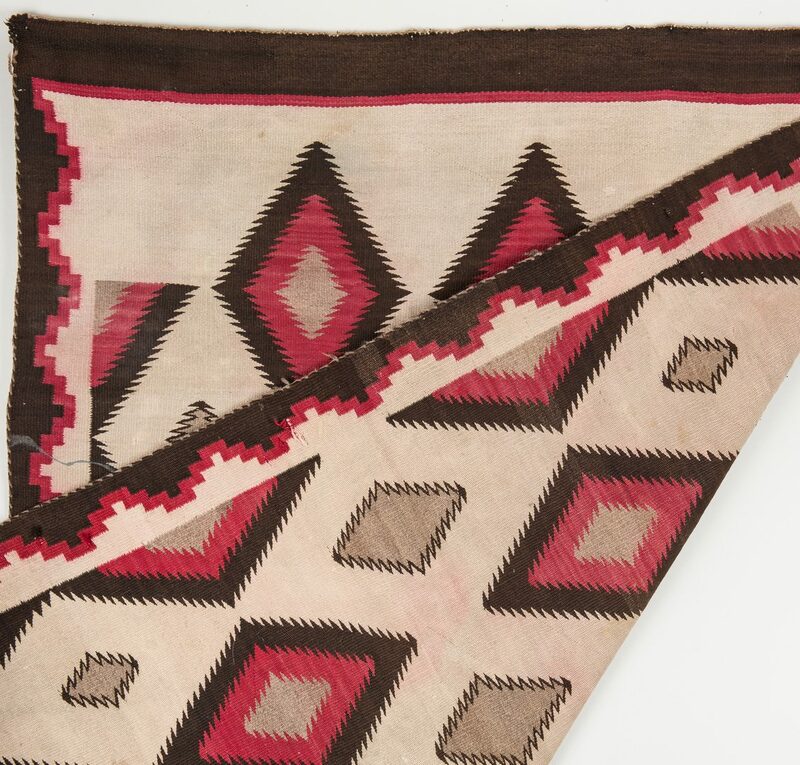 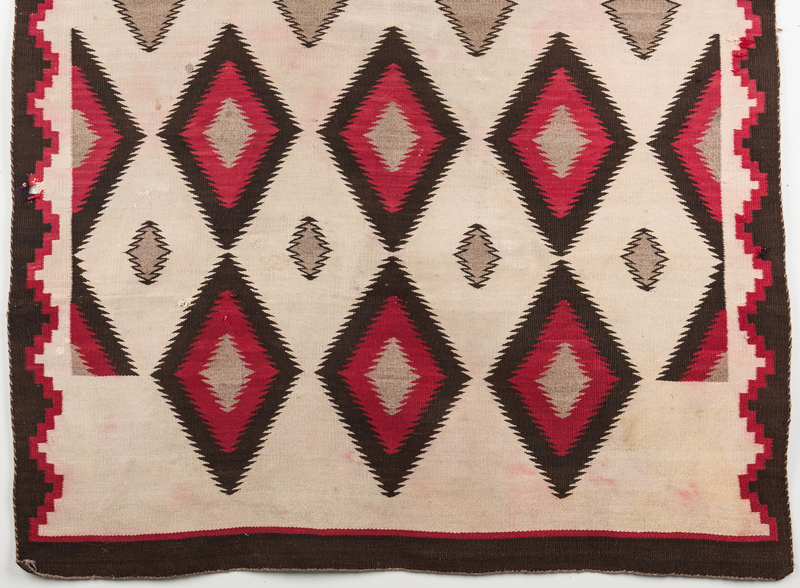 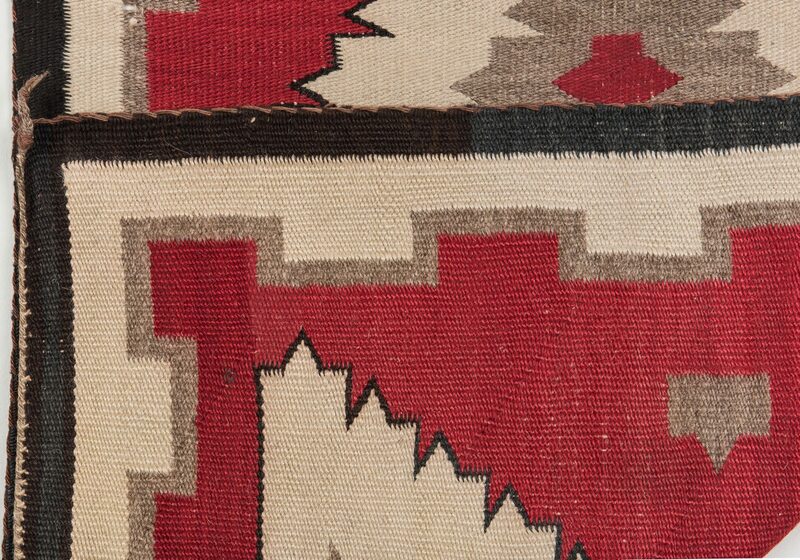 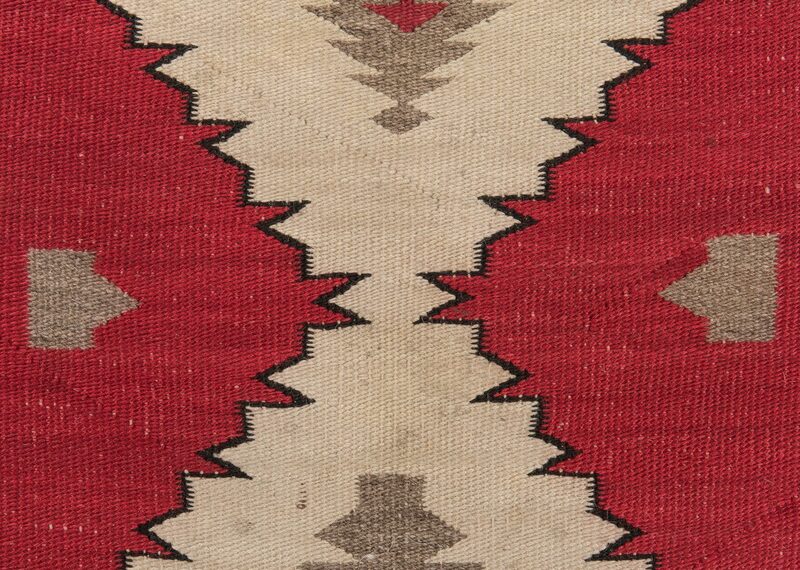 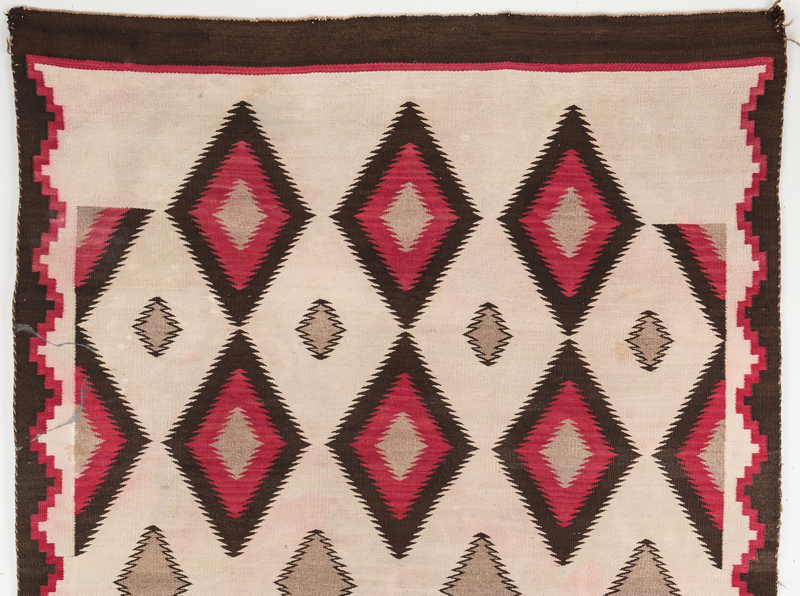 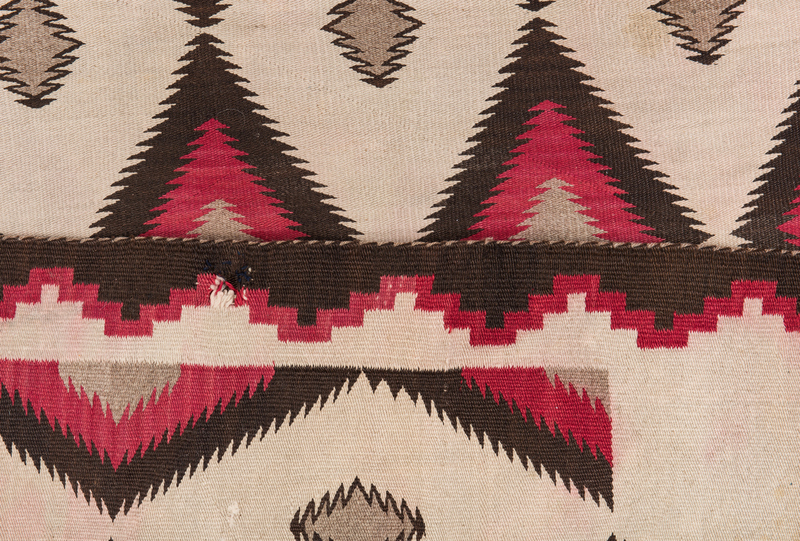 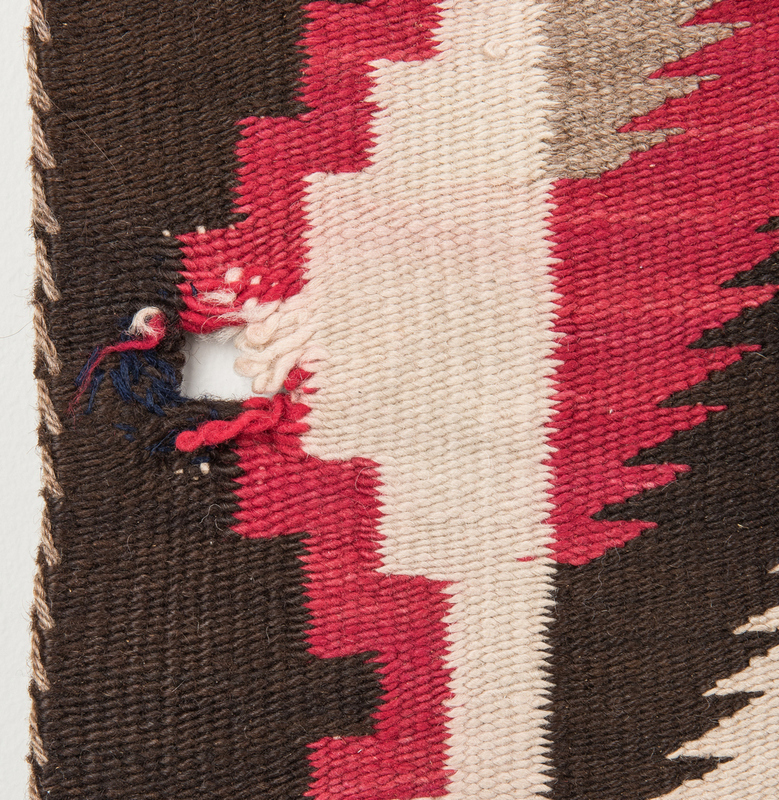 1st item: Navajo eyedazzler weaving, 48 1/2" x 26 1/2", brown border, taupe and ivory Greek key inner border, red field and ivory and taupe secondary colors. 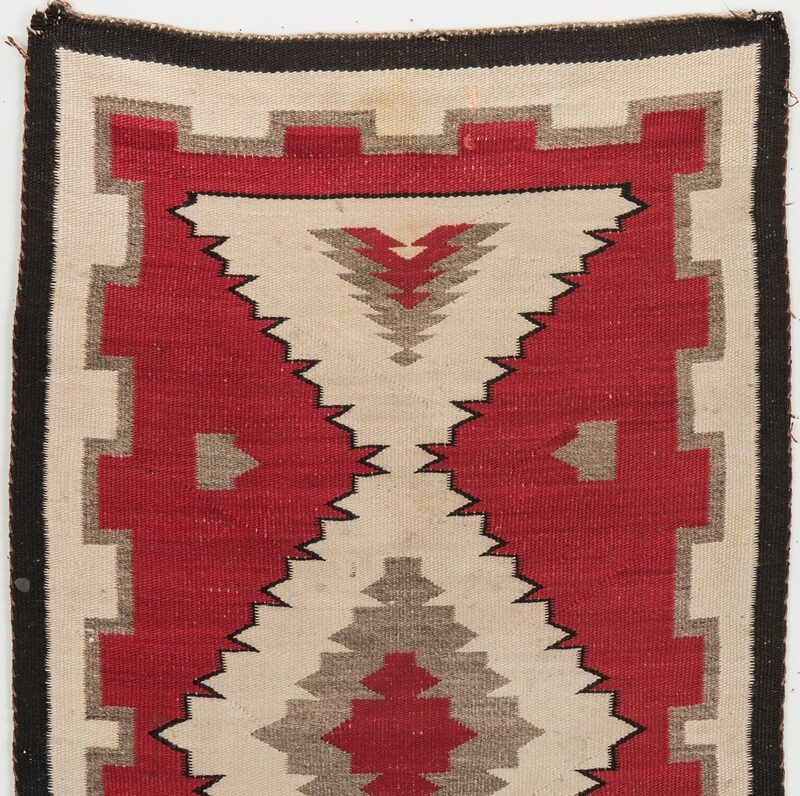 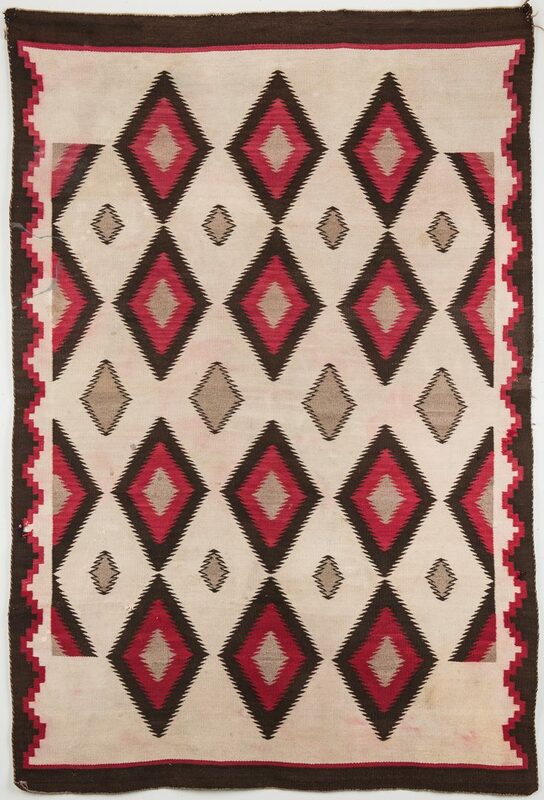 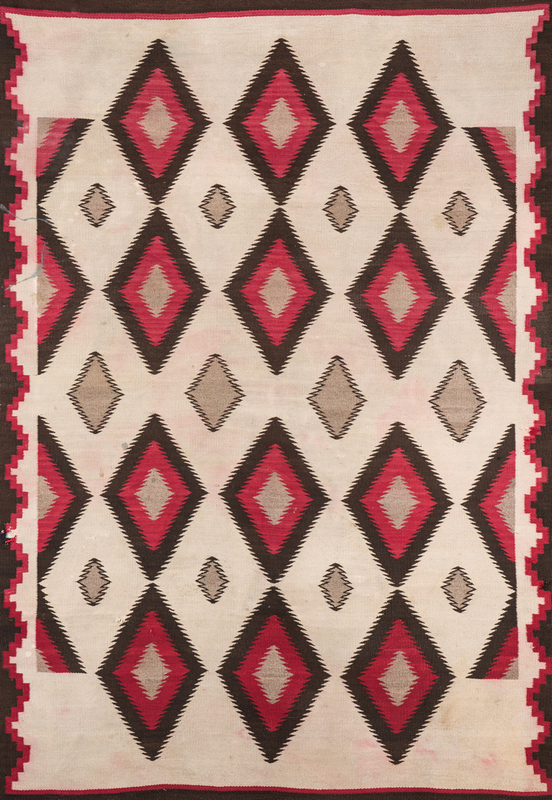 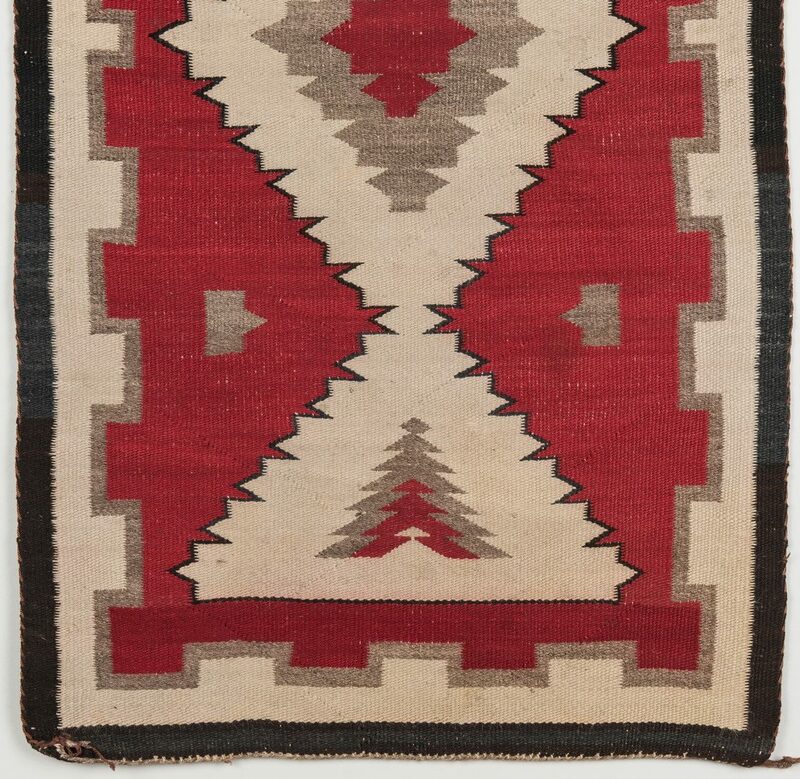 2nd item: Navajo eyedazzler rug weaving, 74" x 49", brown border, sides with red diamond design, ivory field and diamonds of brown, red and taupe. 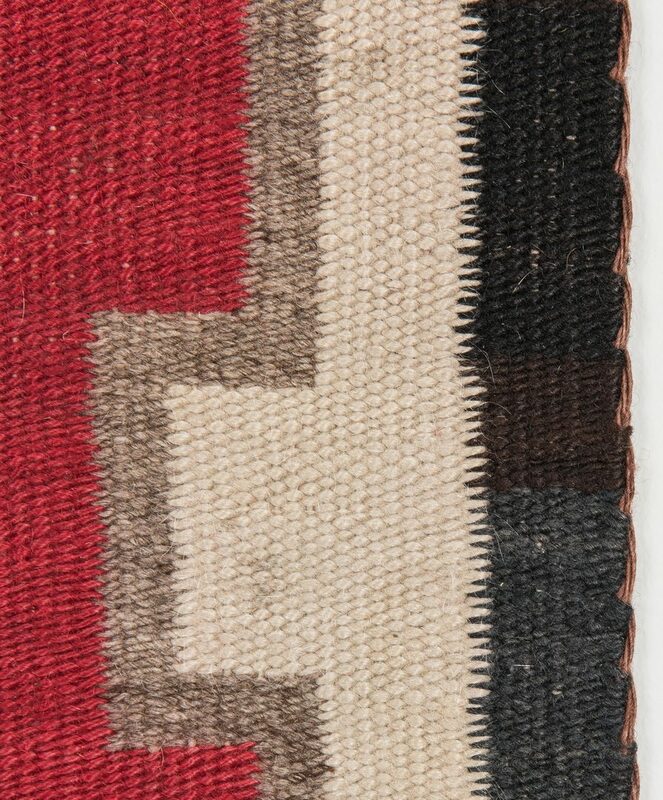 Both weavings mid 20th century. 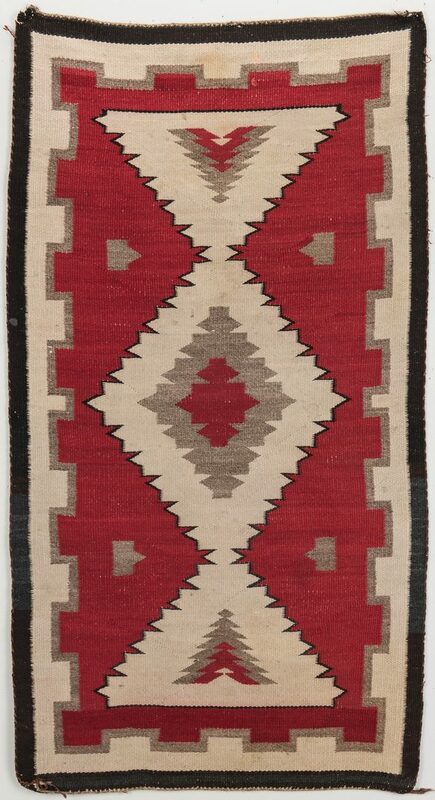 CONDITION: 1st item: 1 1/2" x 1" orange stain at one end. 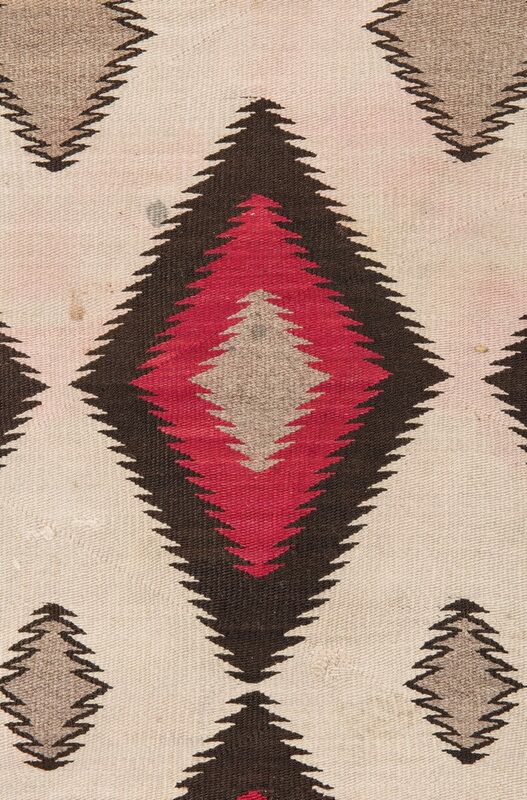 Some abrash. 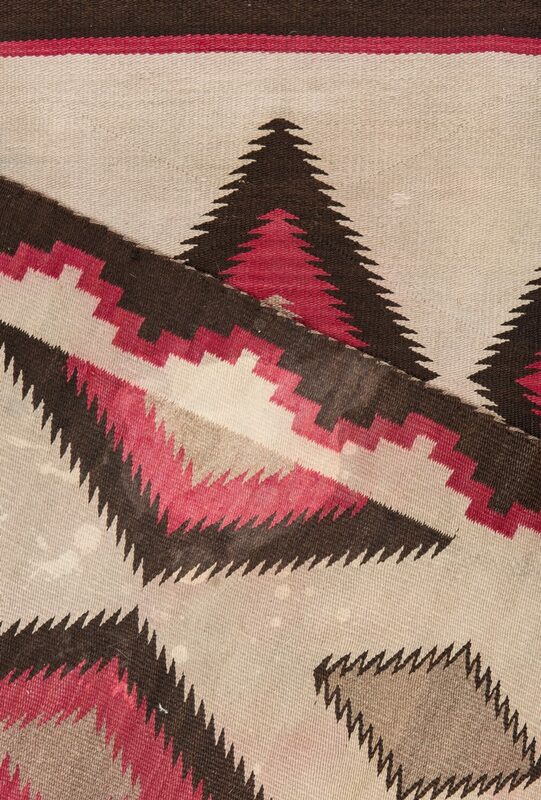 2nd item: Scattered red dye runs. 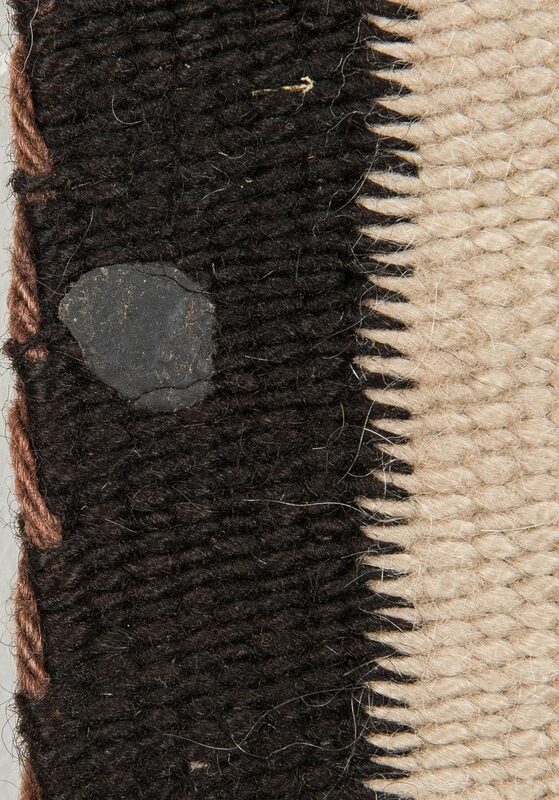 Green paint spill at one edge. 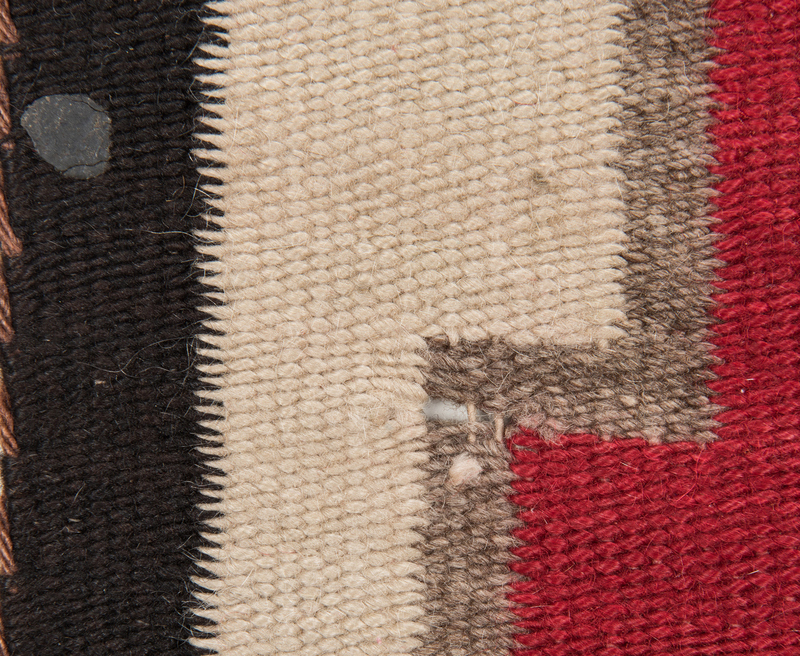 Three scattered holes, largest 1 1/2" sq.